The concept of taking a road trip sounds carefree and largely based on serendipity. But after rearranging your schedule and marking time on your calendar, the realization sets in that you need a planned itinerary and well equipped vehicle to get you to the most scenic routes and can’t-miss sights. 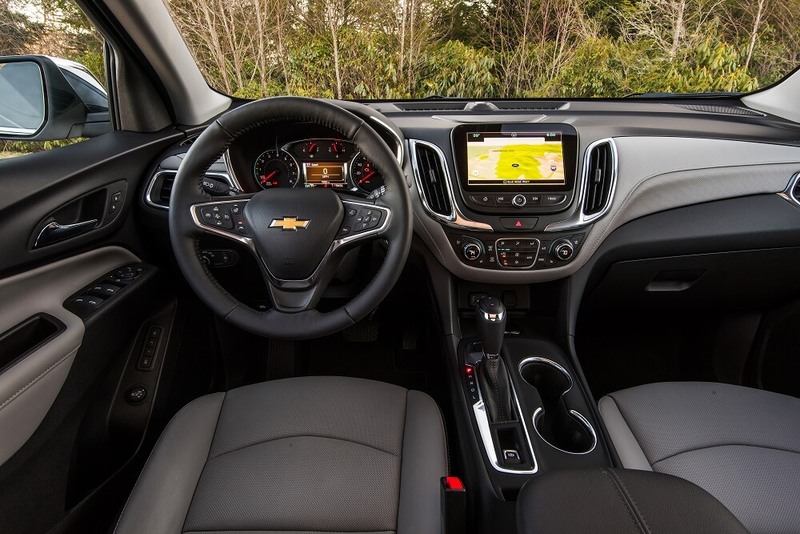 It helps to have comfort and navigational assistance like you get in Chevy’s 2019 Equinox. I recently tried it out on a coastal road trip to Portland Maine and found that sitting in the driver’s seat places you in command central. Heated leather, now treated with a coating that repels coffee spills and abrasions like unprotected dog paws, is a must for active travelers. Surround Vision, 4 strategically placed on-vehicle HD cameras, seamlessly merge on the dash monitor providing bird’s-eye exterior views. All passengers get 4GLTE WiFi connectivity for up to 7 devices, 2 USB ports, and a 12V charging port for plenty of uninterrupted on-the-road power. With all this at my fingertips I was ready to embark on my journey to Portland Maine, America’s 2018 Restaurant City of the Year as awarded by Bon Appetit Magazine. 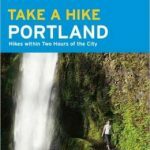 This is just the fourth time the magazine has named a City of the Year, and Portland’s population of 67,000 is by far the smallest honoree in comparison to past winners San Francisco, Washington, D.C., and Chicago. The sheer number of bakeries, breweries, eateries, and craft distilleries opening in such a short time in proportion to its population apparently tipped the balance. 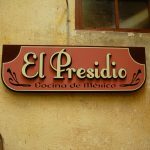 Within the last several years, the restaurant community has grown beyond showcasing the classic side of seafood and simple comfort dishes to more international influences. Being at the epicenter of coastal Maine, lobster here is unabashedly called Lobstah with plenty of places to get your crustacean fix satiated including Instagram-worthy High Roller lobster rolls, multiple varieties of local oysters at many of the city’s raw bars, and regional treats like smoked wild caught bluefish and onions. Within walking distance from Portland’s bustling Old Port, the East End (aka Yeast End) district is packed with coffee shops, farm-to-table restaurants, and numerous breweries & distilleries infusing vibrancy into the pedestrian experience. 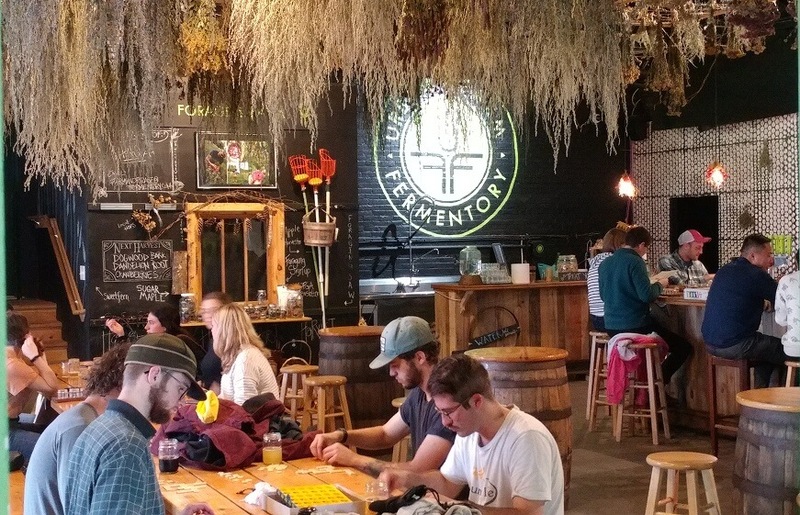 High-profile stalwarts like Maine Beer Company, Allagash, and Shipyard Brewing have been joined by an expanding array of upstart breweries elevating Portland to a premier beercation destination. Great examples include Rising Tide Brewing launched in 2010 by Portland native and longtime home brewer Nathan Sanborn as a modest one-barrel nanobrewery. Two years later, Sanborn expanded to a 15-barrel operation eventually adding a tasting room. A variety of indoor seating options is supplemented by a fleet of picnic tables on the parking-lot-turned-patio where crowds gather for warm weather imbibing and live music. Their on tap lineup features a wide array of ales including their signature hoppy session Maine Island Trail Ale. 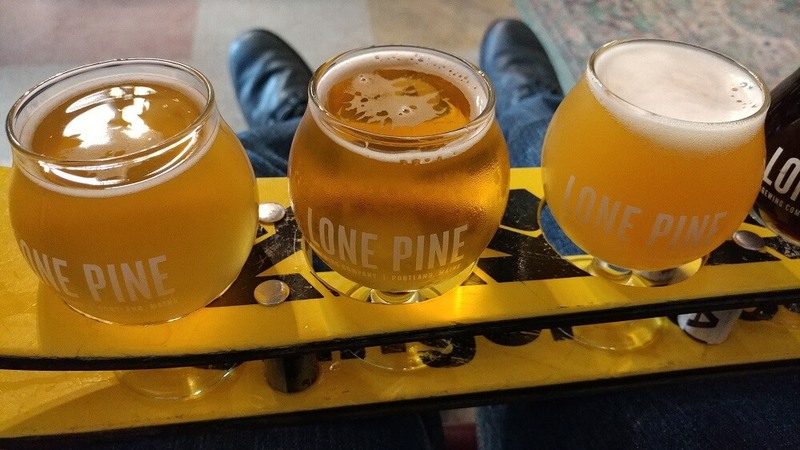 Decidedly more compact Lone Pine Brewing Company specializes in American-style hoppy beers like Portland Pale Ale, now on tap at 120 locations throughout the state as well as a bevy of double IPAs like Fidlar and Diamond Unicorn. Other more esoteric creations featuring locally-sourced ingredients include Maple Coffee Brown Ale brewed with Maine maple syrup and a Chaga Stout brewed with health-enhancing local mushrooms of the same name. Cushy sofas and an assortment of board games make up for the small tasting room and very limited outdoor seating. An experimental urban farm, fermentation production space, and community engagement hub occupies what was once a factory on Anderson Street. While the industrial windows and overall layout are indeed still reminiscent of its prior use, light now floods through into a large game room often hosting rousing sessions of corn hole and Foosball. Look up and you’ll see various locally foraged herbs tied to the rafters in various stages of drying which are ultimately added to their fermenters for infusion. The tasting counter to the far wall has 22 rotating taps with a seasonally shifting array of fermented beverages including authentic kombucha, jun, cider, gruit, and mead. A closer look at these unique beverages reveals Wild Maine Blueberry and Ghost Chili Pepper kombuchas; mead made from wild apple yeast and honey; jun, an effervescent fermented health tonic similar to kombucha but made from raw honey and green instead of black tea; their own line of cid’ah in keeping with Maine’s classic chowda and lobstah; and gruit, an old-style beer using a variety of botanicals with little to no hops. Prohibition actually got its start in Portland since it was the largest rum producer in the United States at the time. Totally self taught with old books covering farm distillation, founder Luke Davidson started with a barley vodka and Dutch-style gin that were less than refined but then moved on to barrel-aged rum and whiskey that ended up being top offerings. 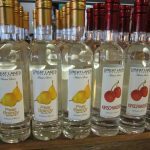 Their Chesuncook gin made from carrots, an old farm favorite obliterated by Prohibition, is also a local favorite along with Sea Smoke, an aged whiskey made from sugar kelp and Maine-grown peat. You know you’re in for a treat when you walk up to Coffee By Design’s roastery and coffee house on Diamond St. A large metal weather vane on the roof of what was once a warehouse marks the spot of this community gathering place where all coffee beans are sustainably sourced and hand roasted in small batches in their two Loring drum roasters. All beans are picked and sorted by hand from Central American coffee farmers who practice environmental and economically sustainable growing conditions. And best of all, the roastery’s small size allows them to custom roast and blend in small quantities ensuring freshness. It all started when husband and wife owners Matt James and Alison Pray took a month-long trip in 1995 to France and Tuscany for inspiration in starting a bakery. Beyond technical expertise they learned that every neighborhood had its own bakery who knew their customers by name and if they preferred their baguettes pale or bien cuit (well-done). Today artisan bread and pastries are handcrafted and baked throughout the day at Standard Baking Co. in their 12-ton stone deck oven in their facility on Commercial Street. There’s a certain Maine rusticity to queuing up in line leading to the front counter that most mornings snakes out the door. You’ll find traditional French baguettes, hearty German Vollkornbrot, fragrant Focaccia, and their all-organic Miche made from 100% Maine grown and milled whole grains. 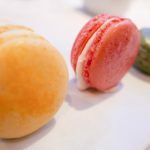 Hand-rolled croissants, pain au chocolat, brioche, and scones are prepared in plain view in their open production bakery and often served still warm from the ovens. 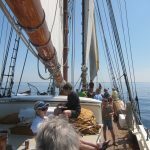 The waterfront in Portland’s historic Old Port neighborhood is not only lined with seafood shacks and tourist shopping but fishing wharfs with boats bringing in a high volume of daily catches from the deep blue Atlantic just off shore. Harbor Fish Market, a long time purveyor of this just caught bounty, is the primary source of fresh fish and shell fish for both locals and tourists alike. Lobsters arrive right off the boats through the back door and are immediately stored in aerated tanks full of recirculating fresh seawater. The tell tale non-fishy saltwater smell permeates the air. And just in case you’re staying in a hotel and don’t have access to a kitchen, Harbor Fish Market ships anywhere in the United States guaranteeing same day freshness. Photos courtesy of Steve Mirsky and Chevrolet. Coverage made possible by participating in a partially sponsored visit.